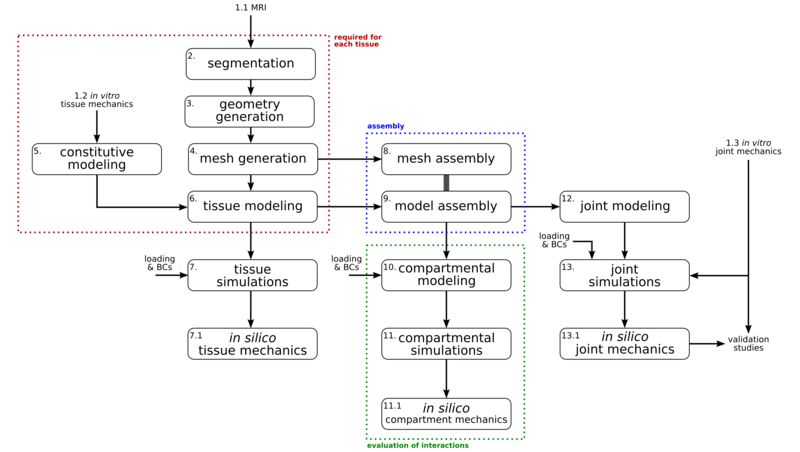 Open Knee(s) targets for development of knee models with a predictive capacity for joint mechanics and tissue mechanics. Finite element analysis is the simulation tool of choice as it has the premise to provide detailed quantification of knee biomechanics. Detailed specifications for required experimentation and modeling & simulation steps are provided in through the links below.